A handheld allows for much more interaction between the user and host software system such as ERP, Asset Management, or WMS. RFID allows for quicker data gathering than barcode and has maximum advantage when groups of items need to be scanned. The drawback of RFID is the possibility that stray tags that are nearby are detected. Users can toggle between barcode and RFID at the touch of a button. We also offer barcode-only units. Our package includes the handheld hardware and software that allows for direct connection to a database, keyboard wedge, VT100 terminal emulation, direct-to-SQL connection, and data capture to a file. Barcode scanner can be 1D or 2D and WiFi connectivity is standard. Cellular and Bluetooth connectivity are optional on certain models. 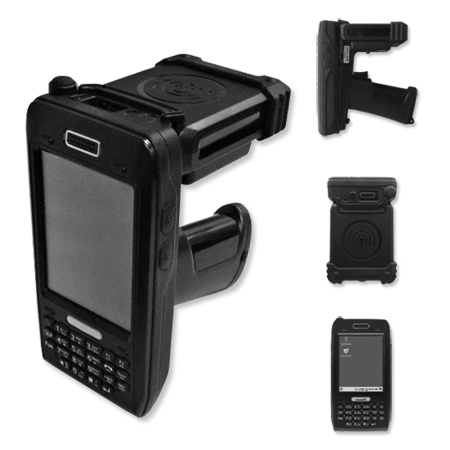 Download the Handheld Barcode / RFID Datasheet.